Kodak Professional T-Max P3200 is an ultra-high-speed panchromatic black and white negative film characterized by its unique T-GRAIN emulsion, relatively fine grain structure, and high sharpness. 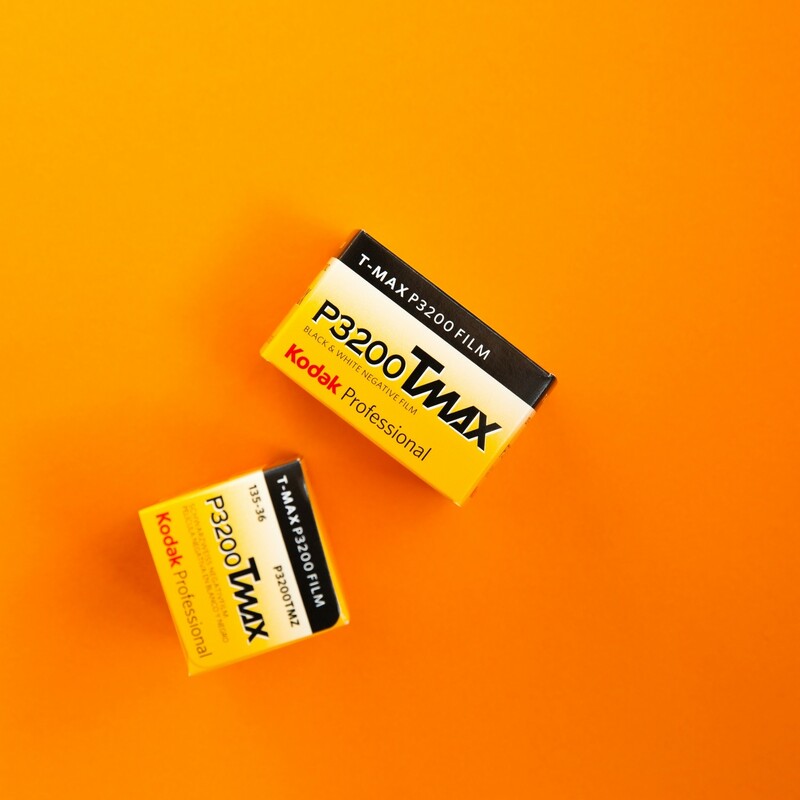 It has a nominal sensitivity of ISO 3200/36°, however is categorized as a multi-speed film with a wide exposure latitude from EI 400-25,000 when pushed or pulled. Its versatility and speed benefits shooting handheld in difficult, available lighting conditions and with fast-moving subjects, and its fine grain profile, broad tonal range, and high resolving power benefit scanning and enlarging applications.